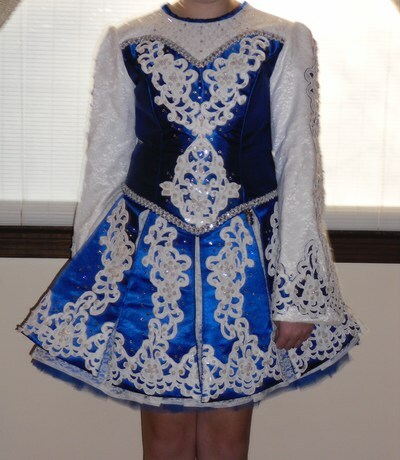 We are the original owners of this beautiful dress, which is only one year old. 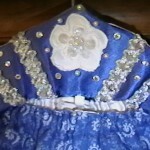 The main dress fabrics are royal blue satin and white lace over white satin. 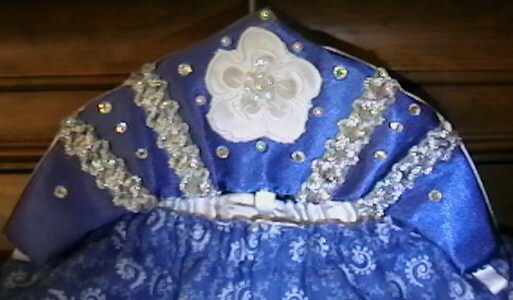 The appliques are embellished with pearls and sequins, and there are many Swarovski crystals on the dress. The unique cape has been made from the train of a wedding gown. 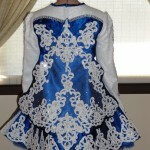 The skirt lining and bloomers have small swirly white designs on a royal blue background. The matching crown is brand new as my daughter wore a bun tiara instead. The number clip was made special so that it matches. A crescent-shaped royal blue dress bag will be included. More photos are available upon request. 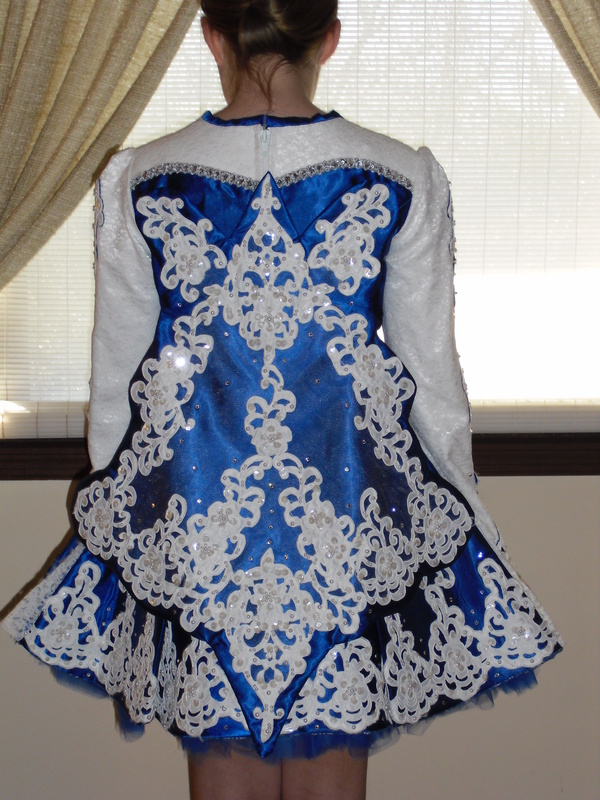 Dress has never been altered, but I was told there would be approximately 2″ of let down at the waist when it was made.